Versatile bars, brownies and blondies make easy desserts that are ideal for parties, potlucks, picnics, lunchbox treats and afternoon snacks. CooksRecipes has hundreds of quality, kitchen-tested recipes for brownies, blondies, no-bake bars, fruit bars, nut bars and dessert squares that you can count on for accuracy and deliciousness. 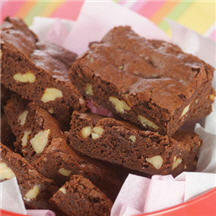 Treat yourself and your family to homemade brownies. These are so quick and easy to make, you can make up a batch anytime. 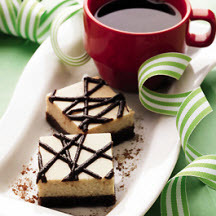 This triple delight is a cheesecake, chocolate and coffee lover's dream bar. 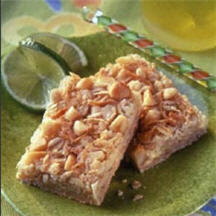 These tropical-inspired layered cookie bars have an oat crust with a creamy filling reminiscent of key lime pie, and a delectable crumb topping with chopped macadamia nuts.